The bespoke homebuilders, Bluefield Builders, a franchise of Arthur Rutenberg Homes, has an environmental program that is unique to the homebuilding industry. They have launched a tree positive building scheme, called ‘Saw One, Save One’. 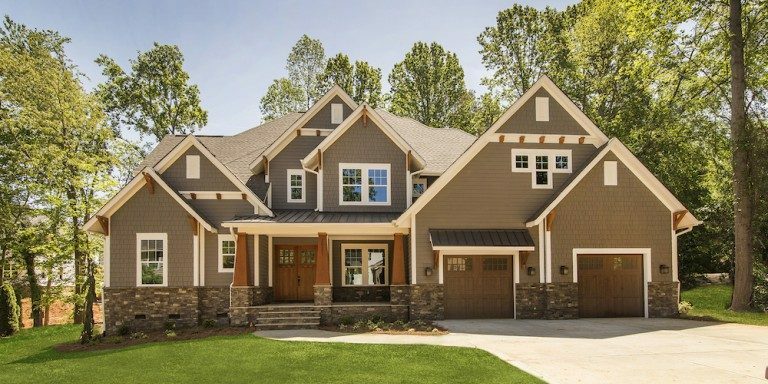 Bluefield builds bespoke, wood-structured homes for families in North Carolina, in an area on the edge of the Blue Ridge Mountains and surrounding Lake Norman. Many of their home-buyers own green lots, sometimes on the lake front, that have never been built on before. Although this is not a critical ecosystem, in fact the land was previously pine wood plantations, often the building process requires many trees to be taken down to clear the site for the home. While this is often necessary to build the homes their buyers design, it doesn’t always feel good to them. To address this impact, for every tree Bluefield cuts down both as materials to build each house and also in clearing home-buyer lots, they protect a tree in the Amazon at our Cordillera Azul National Park in Peru. In fact, they save more than double the number of trees they cut down. In this way, they leave a more positive impact on global tree cover when they build homes than when they started. This programme is one part of an overall responsible building approach. ‘Saw One, Save One’ is used to engage customers as part of the move-in package, when the owner of the company presents each family with a certificate showing the number of trees that the building of their home protected. This is one example of how companies are creating innovative customer engagement programmes through supporting our forest conservation projects. To learn more or talk about how we can help your business, contact us today.